Foxconn spent nearly $100 million on its Racine County development last year with the lion’s share going to land acquisition. And about half the Taiwanese tech company’s hires last year were made in the last three months of 2018, according to capital investment and job creation tax credit forms the company provided to the state jobs agency. 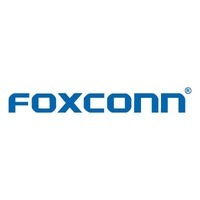 The documents were shared with WisPolitics.com this week under the state’s open records law, shortly after Foxconn filed them with the Wisconsin Economic Development Corp. In all, the information shows Foxconn spent $92.7 million acquiring properties directly related to the project in 2018, the first full year the contract was in effect. The other $6.4 million went to purchases like machinery and other equipment, as well as furniture and fixtures. 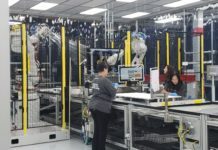 Aside from the cost of acquiring land, the single largest capital investment Foxconn made last year was a $1.45 million lease of a Mount Pleasant facility currently being used to train workers. Other purchases with hefty price tags include: clean room systems, for $736,498; the clean room itself, $317,450; an electrical/power control cabinet system, $387,996; and an assembly line conveyor system, $136,768.